NEW PRICE AND MOTIVATED SELLER! Look at this new price - This home offers it all with a little over an acre, fenced backyard, separate rod iron fencing around beautiful in-ground pool area, 12&apos;x16&apos; building with loft and electric, Large covered patio into back of home. 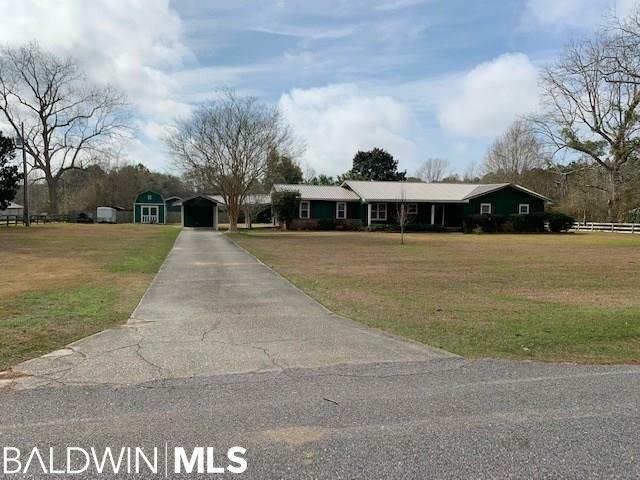 Metal roof, exterior doors and windows are newer, house has been completely re plumbed with pex piping, septic recently cleaned and inspected. Inside offers granite counter-tops in kitchen and bathrooms, new ceiling fans and lighting throughout, freshly painted, hardwood floors, tile and laminate, stainless appliances, vaulted wood ceiling in great room. 4th bedroom with attached bath has a separate entrance and could be used as home office or in law suite. Directions: From Hwy. 181 And 32 Go East On 32, Turn Right On Old Pierce Road, Left On Champion Rd, Home Is On Right.